Ive been trying to find a plan to study for GMAT and there is so much information that I'm completely lost. I have a few questions and if you guys could help me it would be awesome. 1) How do I study for it? Do I divide my time equally among the subjects of the test? Should I just start doing random questions and checking the answers till I can ace them all? 2) I was thinking about getting the GMAT Official Guide 2018 Bundle: Books + Online, is that enough for a +700 score? 3) How many hours a day should I study? I was thinking on doing the test in September or maybe even next year. I'm from Brazil and I have never done anything like this before, so I honestly have no clue how to even start it. I dont even know if Im asking the right questions. 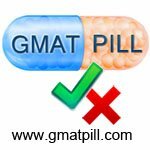 Here is a post by bb, gmatclub founder, about the study guides for gmat. Is the OG13 the same as GMAT Official Guide 2018 Bundle: Books + Online? You ask a number of important questions, but until we have that first CAT score, it's difficult to give you a specific answer to any of those questions. The 700+ score is essentially the 90th percentile (meaning that 90% of Test Takers never score that high regardless of how many times they take the GMAT), so it's a tough goal and you will likely need more study resources than the ones that you've listed. In addition, many Test Takers spend 3 months (or more) of consistent, guided study before they hit their 'peak' scores, so you have to be prepared to put in some serious training time as part of this process. Thankfully, the GMAT is a consistent, predictable Exam, so you CAN train to score at a higher level. No. The 13th edition is an older version of the OG (this one), and the 2018 is the latest (this one). The 2018 is also available as a bundle here. Since it sounds like you're just beginning your studies, then it would be a good idea to take a FULL-LENGTH practice CAT Test; you can download 2 for free from (and they come with some additional practice materials). If you want to do a little studying first, so that you can familiarize yourself with the basic content and question types, then that's okay - but you shouldn't wait too long to take that initial CAT. That score will give us a good sense of your natural strengths and weaknesses and will help provide a basis for comparison as you continue to study. A FULL CAT takes about 4 hours to complete, so make sure that you've set aside enough time to take it in one sitting. Once you have those scores, you should report back here and we can come up with a study plan. 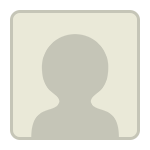 EMPOWERgmatRichC thank you very much for your response. I think I have done the CAT already and I scored 590 points from just the Verbal and Quantitative sections, I didnt do the Analytical Writing Assesment neither the Integrated Reasoning part of the test. (The CAT is from the GMAT prep from mba website right?). I started doing all this just today. I do have a lot of time on my hands right now which I intend to fully commit for GMAT and Case Interviews studies. To start, a 590 is a good initial CAT score (the average score on the Official GMAT hovers around 540-550 most years). That having been said, you will likely still need at least another 2-3 months of consistent, guided study to hit your goal score. You didn't include your Quant and Verbal Scaled Scores - and that information is relevant, since we need to define the areas that you likely need to spend more time on. In addition, since many Business Schools expect applicants to score at a minimal level in the Essay section (for many many Programs, a score of 4.0 or higher is expected), so you have to make sure to take the FULL CAT each time and practice the Essay. From your posts, it sounds like you have some flexibility as to when you can take the Official GMAT, so you could start studying however you choose. However, if you'd like to be efficient during your studies, you might want to consider investing in a GMAT Course of some type (either Guided Self-Study or instructor-led). It actually depends on how I'm doing with my studies, as I said I have lots of free time at the moment so I can totally focus on the studies. 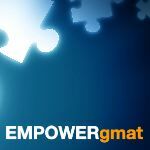 Do you recommend one of these GMAT Courses? Have in mind that US$ is very expensive for me. Do I just get a book and start (reading/doing exercises) from the beginning to end? From your posts, it does not sound like you have a clear timeline or clear end goal (meaning a specific, "first choice" Business School that you want to apply to). While that lack of specifics is not a bad thing, it's tough to offer advice when you don't have a clear sense of your own timeline and goals. As such, I suggest that you do a bit of research and try to put together a list of Schools/Programs that interest you. With that information, we can then determine the type of GMAT Score goal that you would need to be a competitive applicant and what it might take to apply for (and receive) a Scholarship to those Programs. Agree with that approach. 2 hours a day will be fine - though on weekends, you should budget 4+ hours so you get a chance to dive much deeper. In general, we recommend a divide and conquer approach. Focus your studies on specific subsections -- such as SC, CR, etc. Only when you feel comfortable should you start mixing various questions. The focus allows you to actually make improvement - while the mixing lets you experience what the actual exam will be like.